Every summer it seems that we hear about a child left in a hot car. Sometimes we hear of a someone who discovers the child crying and either smashes the car’s windows or calls the police. Sometimes we hear that the result was fatal. According to KidsAndCars.org, a nonprofit child safety organisation, some 790 or so children die from heatstroke each year due to being left in hot cars -790! Of course, virtually all the parents involved aren’t doing this sort of thing on purpose. The reason it happens is because people are under a lot of stress and often sleep deprived. In virtually all cases, it’s just a slip in judgement. 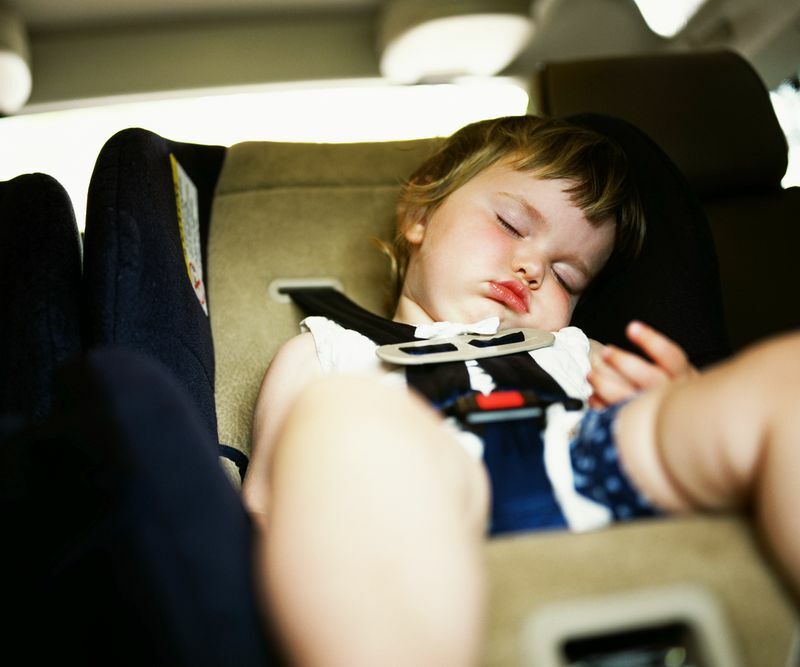 “About half of the time, a parent just forgets the child was in the car,” said Kyran Quinlan, M.D., of the American Academy of Pediatrics. In other cases, a parent may decide to dash into a store, figuring he/she will be gone just a few minutes, and then forgets that a child is waiting in a hot car. What most people don’t realize is how quickly it can happen. They think that “It really isn’t that hot out” or “I won’t be gone that long.” The problem is that they are judging this situation as a full grown adult. What they don’t know is kids overheat up to five times more quickly than adults do because of their smaller body mass. And the temperature inside a vehicle can rise more than 20 degrees in just 10 minutes on a hot day. These phenomena are a recipe for disaster. Since so many fatalities occur every year, a natural question is should automakers get involved with technology solutions? Should the government get involved and require the automakers work on a technology solution? The debate is ongoing. In the meantime, Thomson of Thomson, GA, a full-service Chrysler, Dodge, Ram, Jeep dealer, said several companies have offered simple smartphone app solutions that function basically as “reminders” for distracted parents. While a step in the right direction, most feel more is needed. Janette Fennell, of KidsAndCars.org, insists that when it makes sense from a market perspective, or if it is government mandated, that car companies can innovate technical solutions quite rapidly. Most think that there is no question that this problem could be helped with a technology solution. That being said, no such technology seems to be in the works. However, help may be on the way from the NHTSA. In a 2014 statement, NHTSA said it “continues to study technologies to help prevent heatstroke deaths.” Considering how important a solution would be to have, we may be seeing action being taken by the NHTSA soon. In the meantime, Fennell said, awareness is the key to minimising the risk. “The worst thing you can do is think: ‘this can never happen to me’,” because it could happen to most anyone.